That's it folks, the last points event of the SCCA New England Region, as well as the Stirling Moss Runoff. 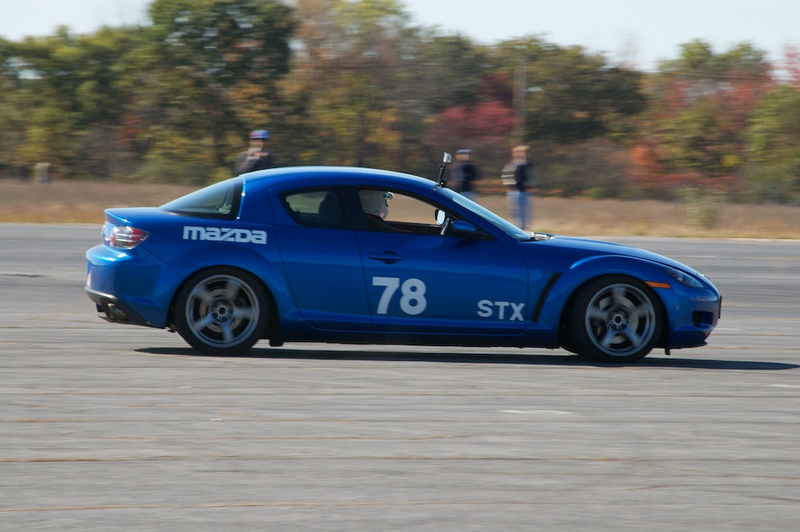 Some of you may be wondering why I didn't attend the previous SCCA event and co-drive with someone else? Being overwhelmed and upset with everything that had happened, I was originally thinking of calling the rest of the year off… but what fun is that? Giving up on something I am so passionate about is not exactly who I am. That being said, I kept my chin up and co-drove with Dave in his STX RX-8 for a final dance with SCCA. 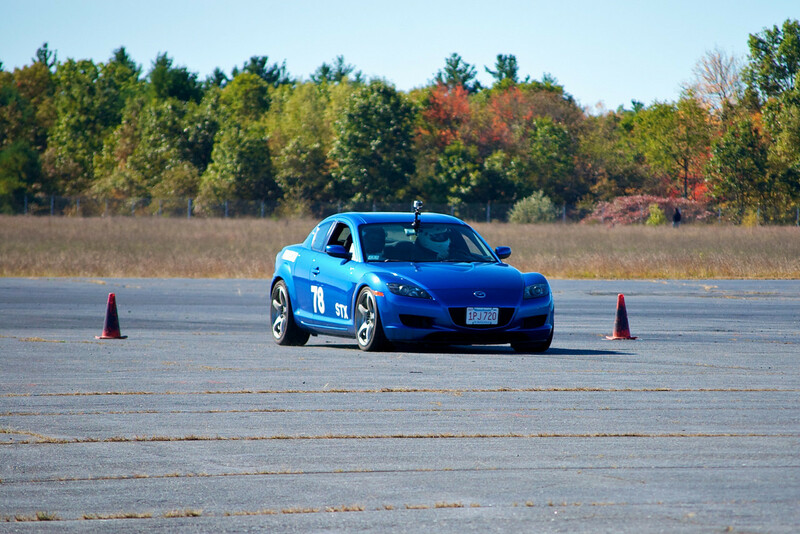 The course was pretty short I noticed, but it had a few tricky parts that required you to slow down quite a bit. I think my favorite part was all of the beginning section after the first turn around. You'll notice in the videos that we enter what looks like a chicago box almost, and then quickly hop out, just to hop back to the left. 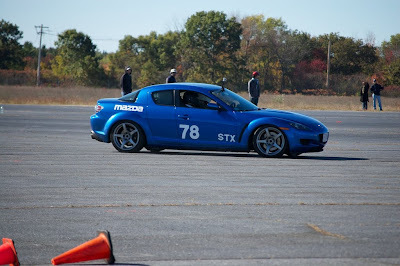 I noticed that I'm getting better with transitioning the weight around in the car when flying into a clam shell or hard turn, though I need to work at my braking; ESPECIALLY trail braking. Dave made a good observation about that, though I can't exactly practice that when it's the end of the season. At the end of the day, I placed 3rd in Street Mod, with a fastest raw time of '55.0 +3 cones(ouch!) and a fastest clean time of '55.4. 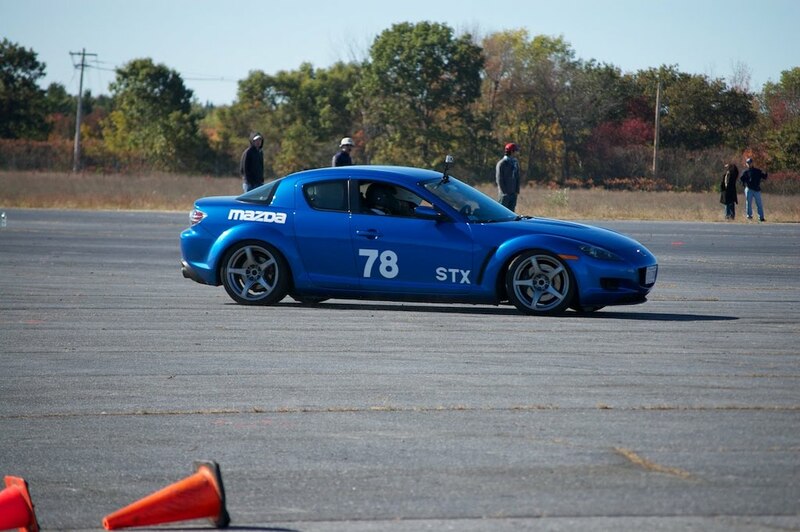 Dave took second in STX with a '54.4, though his fastest dirty time was '54.1 +2 Cones. Congratulations to Nate Whipple for scoring 1st in pax for the Stirling Moss Runoff, that trophy is gorgeous! Final results are here, with pax located here and then raw times located here. The event was overall a great time, and it was great to see all the familiar faces for the last time until the end of the year banquet where they give off awards. I'll be giving a review sometime in November about my season with the two clubs, going over some things I liked and disliked and my overall experience. Until then, check out the videos below, starting with my fastest dirty time and fastest clean time, followed by Dave's fastest dirty time. His fastest time was unfortunately not recorded. The rest of the videos are located on my youtube page. Thanks to Ed Savage for the awesome on course pictures, check out the rest of his photos here.